Wintertime is always a harsh time and, for all intents and purposes, messy. 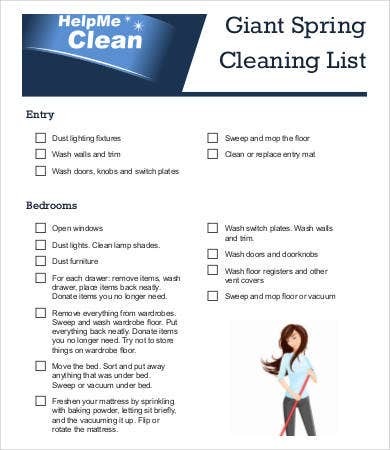 This is why spring is the ideal time to go under the sheets, explore the nooks and crannies that have been neglected the seasons before, and just do a thorough sweeping of the house from top to bottom, inside and out. 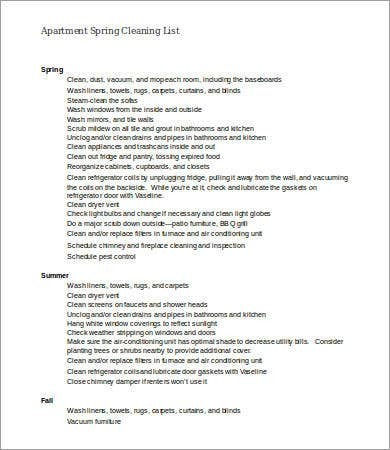 We have searched the Internet for the best spring cleaning list templates, and these are our top picks. 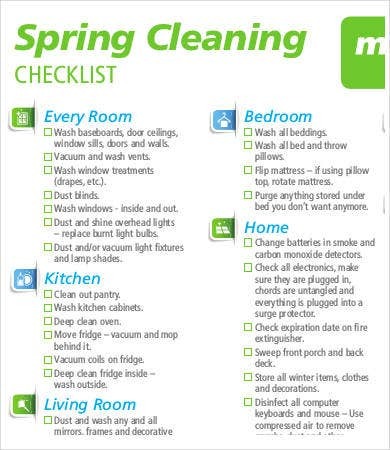 Start on the messiest part of the house. In most cases, this is oftentimes the kitchen. Turn over your ovens and stoves and sanitize them with clean soapy water. Move your fridge to expose the floor beneath, which is oftentimes racked with dirt and moisture. Clean and green. 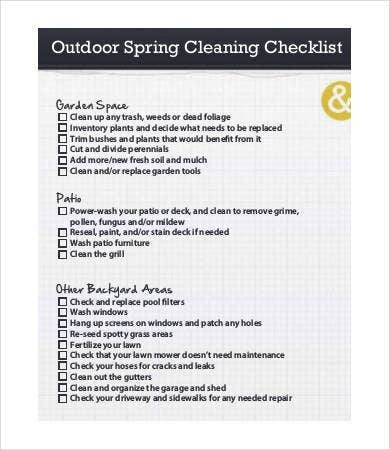 Disinfect and deodorize disposal areas with lemon and salt. 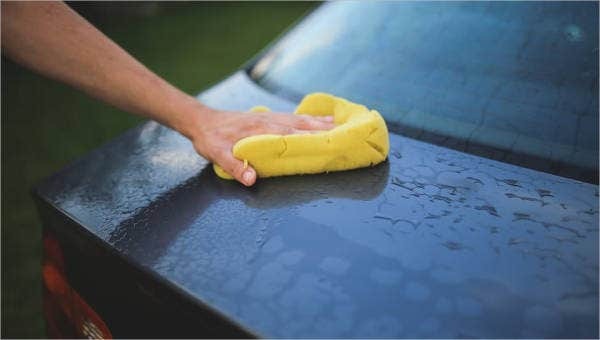 Use reusable cleaning cloths instead of paper towels. They are more sanitary and, in the long run, more practical as they can be washed in the washer and used again; you don’t have to purchase over and over when you run out. Sweep starting from the top to the bottom. This way, all the dust and dirt that you didn’t catch at the top will fall to the bottom and will be picked up when you go there. Use a dustpan with a rubber edge to catch dust and dirt more easily. Go from one corner to the other when vacuuming. Rid yourself of the unnecessary. Get rid of the things that you no longer need or use. Get rid of your old high school notebooks, textbooks, etc., locked up in the attic. 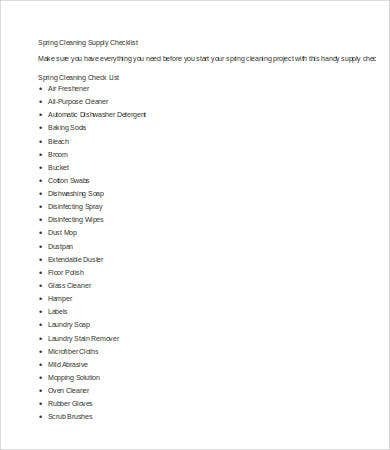 Get rid of empty paint cans stored in your shed. Group the tasks. Group them according to the place where they are to be done. You could have a column for the individual bedrooms, the kitchen, the living room, dining room, and the outside premises. Prioritize tasks. 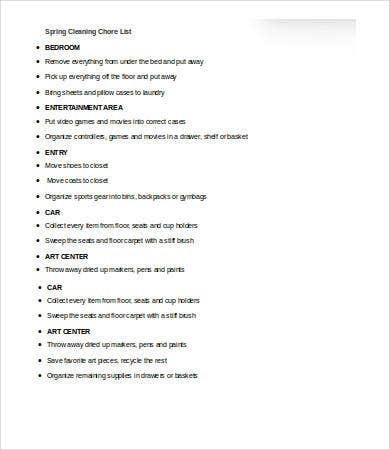 Order the list according to priority. Always start at the uppermost part of the house and work your way to the bottom. Double check completed items. 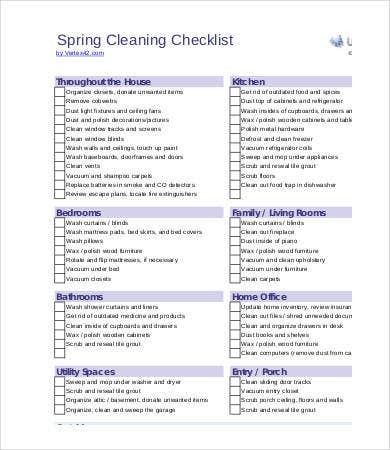 Check off the items that you have already done from the list, so won’t do the twice. Delegate tasks. 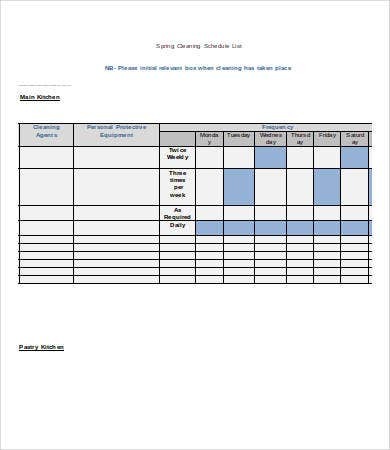 Note the person assigned to a task so no two persons are assigned to a single task and there is a reference for responsibilities if some of the tasks are not done. 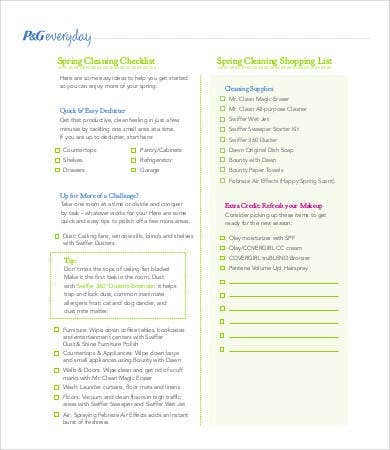 Use our spring cleaning list template, action list template, or to-do list templates to make your own list for your spring cleaning. 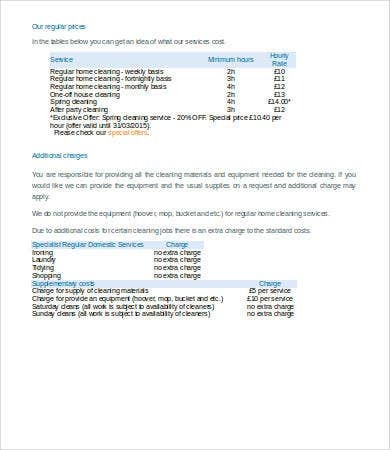 Or you can simply download any template on the list for free and edit it however you want.